« Grazing – commitment or token gesture? It was a gorgeous day and we had a great turn out. 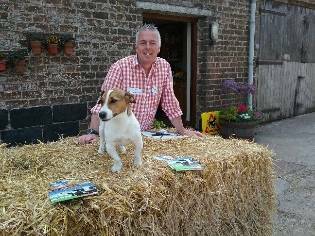 Neil, with help from farm dog Sonny, was there to sign people in and give them a name badge. 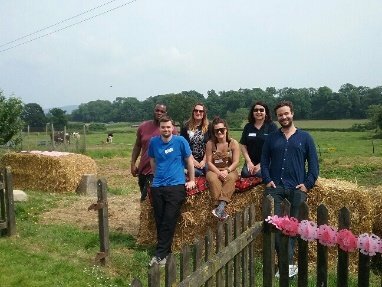 We had about fifty people attend on the day, all catered for by Jenni, the farmer’s wife who put on a fantastic buffet with meat, veggie and vegan options as well as the first free range cakes!!! It’s a great way to tell people about Free Range Dairy Network with help of the cows and farmers, being on the Free Range farm really helps tell the story about what we’re trying to achieve. Neil and I set up Free Range Dairy Network as a Community Interest Company (CIC) because we want to demonstrate our commitment to bringing positive solutions to an industry in crisis. As a social enterprise all profits made either from sales or grants goes back into the CIC to help us achieve our social mission which is freedom for cows to graze and a fair reward for pasture based dairy farmers. We were really pleased at such a great turn out as it shows that people care about cows and want to support our traditional dairy farmers but also that they want to know more about milk and how that milk was produced. 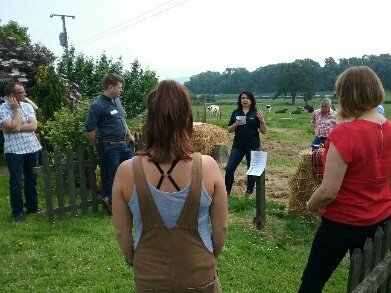 After the farm walk and lunch, we had a few talks with Alyx from World Animal Protection giving a short presentation about their Full Fact Milk Campaign with an update on their petition which now has almost 50,000 pledges from people wanting clearer labelling on milk. Martina from the Sustainable Restaurant Association talked about how they are working to help their members make sustainable choices about how they source their produce and they see Pasture Promise free range milk as a great way for their members to bridge the gap between organic and conventional milk. We understand people are aware of price when it comes to shopping but the rise in the conscientious consumers mean that people also care about more than just price. They care about animal welfare, sustainability and traceability and want to make a more informed choice when shopping and eating out. It was great for people to see how a Free Range farm works but also how excited people were to meet the cows and the cows were really curious and happy to meet them too. As Neil gave his part of the presentation in the field a few cows decided to join in and take part. 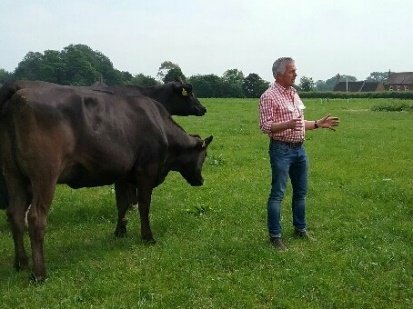 We will be holding more events on our Free Range Dairy farms over the summer and looking forward to spreading the work about Free Range Dairy Network and Pasture Promise free range milk. Please make the Pasture Promise to support the work of Free Range Dairy Network and for suppliers check out our map.